Is National Legalization of Marijuana Use Inevitable? Although polls in Colorado make clear the vote to legalize marijuana would pass again, possibly by somewhat more than the 55 percent in 2012, there remains resistance to widespread use in some Colorado communities and demographic and political groups. Nationally, polls show majority support for legalization, but also with states, populations and politics remaining resistant. The latest Quinnipiac University poll shows 63 percent of the country believes marijuana use should be “made legal in the United States.” That is similar to several polls that show national support above 60 percent. A January 2018 Quinnipiac poll showed 58 percent support for legalization. It is also clear is that legal medical use of marijuana is now a consensus position with 93 percent of the public favoring it. Also, the public does not support enforcing federal laws against marijuana in states that have already legalized it. National momentum for legalization will be one of the topics at the May 15 American Association for Public Opinion Research (AAPOR) and Crossley Center for Public Opinion Research at the University of Denver panel will consider. Much of the nation’s media have written about and praised the Denver Post’s editorial page effort to shout out to Colorado readers that they are losing their only statewide newspaper by steady and accelerating economic attrition. But even after the effort and some suggested remedies, there remains a sense of inevitability about it – the hidden hand of market, technology and out-of-town investors, which can’t really be stopped. Most of us recognize the quality of political life in the Denver metro region, which represents 55 percent of the state’s population, and much of its economy, sports and cultural infrastructure was diminished by the loss of the Rocky Mountain News. Today, decline of the Denver Post’s finances and reporting reach and depth, often highlighted by the thinness of the Monday edition, are a common topic of the quarter of the population that actively engage in daily local news consumption. A sketchy version of public policy aspects of good journalism, including accountability in government, coverage of political competition for office and policy differences, and providing the forums for discussion, is moving to digital platforms. Possibly, an Amazon Prime of politics and public policy will replace the print edition. But, we will still miss the connectivity of a well-written and edited newspaper and the public service of investigative journalism that requires exceptional levels of resources and talent. The transition to digital is leaving gaps in coverage and in our public life that newspapers best filled, but are rapidly diminishing. President Trump is on sound ground when he advocates meetings with Vladimir Putin and Kim Jong Un. A majority of Americans (52%) believe Trump should invite Putin to the White House to improve relations. Slightly more (56%) support Trump meeting with Kim Jong Un to try to get North Korea to give up nuclear weapons. They are highly skeptical it will happen (two-thirds not likely to happen), but favor the summit. 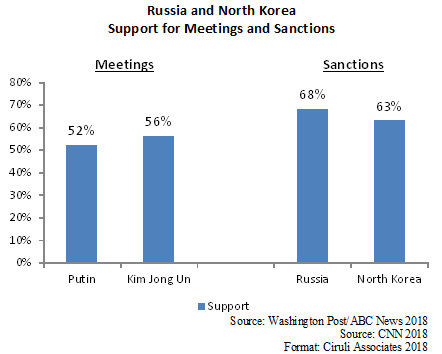 Although the public sees Russia and North Korea as threats, they support meetings, diplomacy and sanctions before conflict. For example, the public supports tougher sanctions on Russia. Sixty-eight percent advise “tougher sanctions” against Russia, including Republican (68%). A CNN poll on North Korea asked if people believed the “situation involving North Korea can be successfully resolved using only economic and diplomatic efforts.” Sixty-three percent believed it could. 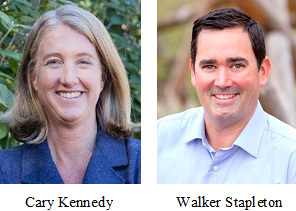 As readers of The Buzz already know, Cary Kennedy and Walker Stapleton are the frontrunners of their respective parties’ nomination ballots as the two parties head into tough and expensive primaries. Both parties will likely have four candidate fields once petition certification is completed by the Secretary of State. At Saturday’s Democratic State Convention, former State Treasurer, Cary Kennedy, crushed Jared Polis for top position on the ballot (62% to 33%). As earlier straw polls had indicated, Polis barely made the ballot. It is likely to be a four-person primary. Democrat Mike Johnston is already on the ballot by petition and has money, if not much of a base in the regular party. He will need unaffiliated voters. Donna Lynn is awaiting certification, but unlikely to be a factor. 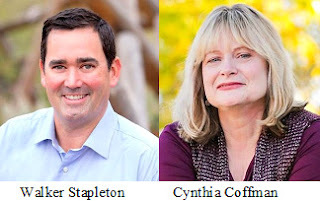 Although Walker Stapleton still doesn’t have the whole-hearted support of the Republican Party’s rank and file conventioneers (he does better in polls), he crushed his main rival, Cynthia Coffman, who failed to make the ballot. His 44 percent win over former Parker mayor, Greg Lopez, secures his position as top of the ballot and party frontrunner. The Republican Convention was an embarrassing loss for Coffman. As The Buzz related, she attracted little support in caucus and county assembly straw polls. In fact, Stapleton regularly beat her. His shift to the state convention was her doom, which she recognized, launching a vicious, late, but forlorn attack. A couple of non-participants in the Republican conventions will likely be players in the primary. Vic Mitchell has money to spend on TV and a good pollster. Doug Robinson will be another Stapleton critic, assuming they both make the ballot. Greg Lopez will not likely be a top finalist once money enters the race. His convention win demonstrates many party activists are still looking for that conservative outsider who will take on the system. All the better if the person is the member of a minority the party must get more of if it is to survive in Colorado. The American Association for Public Opinion Research (AAPOR) will hold its national conference for the first time in its 71-year history in Denver this May. Its opening panel on the legalization of marijuana is co-sponsored with the University of Denver-based Crossley Center for Public Opinion Research at the Korbel School. The panel for AAPOR members is open to the public and will be held May 15 at 5:00 pm at the Sheraton Denver Downtown Hotel. Marijuana legalization will be examined from the perspective of the interaction of public opinion and public policy. Beyond the extensive research of national trends, we now have opinion to study in several states at different stages of implementation with a variety of regulatory regimes. Not only is public opinion analyses useful, but a variety of other metrics are available as acceptance and resistance within “legal” states continues with local votes on distribution and taxation. Also, there are growing numbers of studies, often using survey research about benefits and costs, including criminal activity, youth usage, health issues and driving. Which states are next to legalize? Which are not? Change in opinion/political environment due to Attorney General Sessions’ position. Impact on legalization in more states. How does it affect adoption of recreational use in legal states? What is the geography of recreational/commercialization acceptance? What are the economics of marijuana, tax benefits? 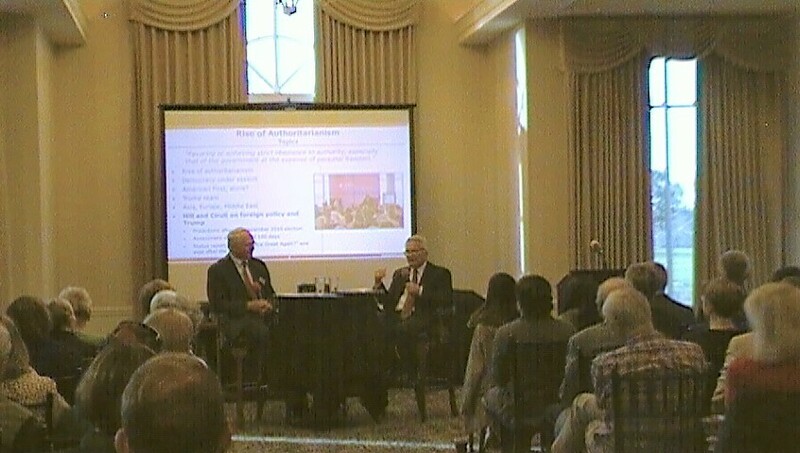 Before an audience of 150 at a WorldDenver event on the worldwide crises of democracy, the loudest applause came on the topic of defending American democracy. I related a list of actions the next administration should enact with Congress. Most of the actions were political norms that historically didn’t need statutory rules – they were usually followed, but not today. 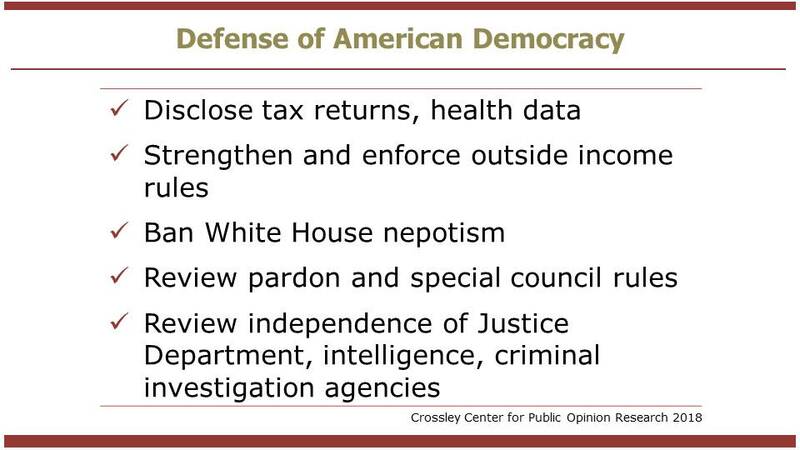 Hopefully, both parties will see the benefit of ensuring that American democracy continues to function as designed and intended, namely with a constrained executive, within clear boundaries. Norms, like precedence, are expectations. 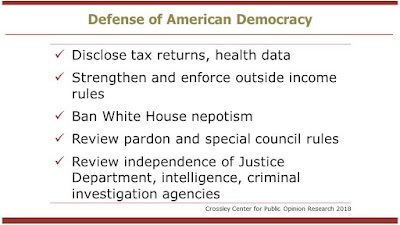 Codifying and strict enforcement of most of the items on the list – for example, disclosure of tax returns, enforcement of limits on emoluments, prohibition of nepotism, limits on pardons – didn’t appear necessary, but when they are disregarded by an executive and other restraints are failing, statutes are necessary. year’s 50th anniversary. The year saw the assassinations of Dr. Martin Luther King, Jr. and Bobby Kennedy. On April 4, after King was assassinated, Kennedy, campaigning in Indianapolis, spoke to a crowd of predominately African American supporters in what was later considered his politically bravest and best speech of his career. 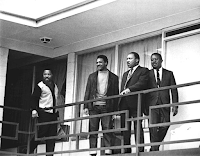 More than 100 cities saw riots after King’s death, but not Indianapolis. 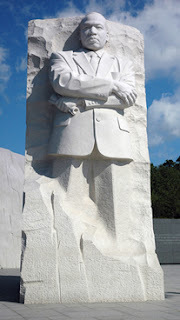 See my blog of Bobby Kennedy’s speech on the night Dr. King died here. 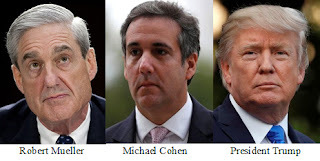 It is said the White House believes that the Michael Cohen investigation is a much greater threat to the President than what Robert Mueller is likely to release as a final report. This belief is well-founded and reinforced by the news last week of the impeached president of South Korea being sentenced to 24 years in prison and former, very popular President of Brazil beginning a 12-year sentence, both for financial corruption. Mueller’s finding related to the President could be violations of law and the Constitution that will be considered by Congress. The Cohen investigation could produce criminal indictments, including Donald Trump. New polling from ABC News/Washington Post conducted by Langer Research Associates shows the American public has a different view. They are very supportive of the Mueller investigation of collusion, but less so on the hush money allegations; i.e., Stormy Daniels. There is eleven percent less support for the hush money investigation than the Russian election interference. 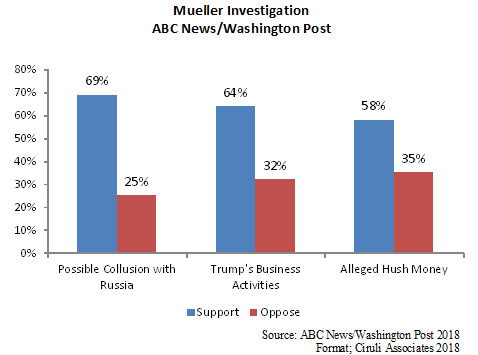 In terms of the Mueller investigation of collusion, even 43 percent of Republicans support it compared to 80 percent of Democrats and 70 percent of Republicans. But in another question, only 51 percent of the public believe Trump’s pattern of sexual misconduct is important vs. 46 percent who do not. However, there is a gender gap. Women are 15 percent more likely to judge both issues – the hush money investigation and the importance of the politics of sexual misconduct – higher. Robert Kennedy won the Indiana primary on May 7. It was an important victory in his 82-day presidential campaign. 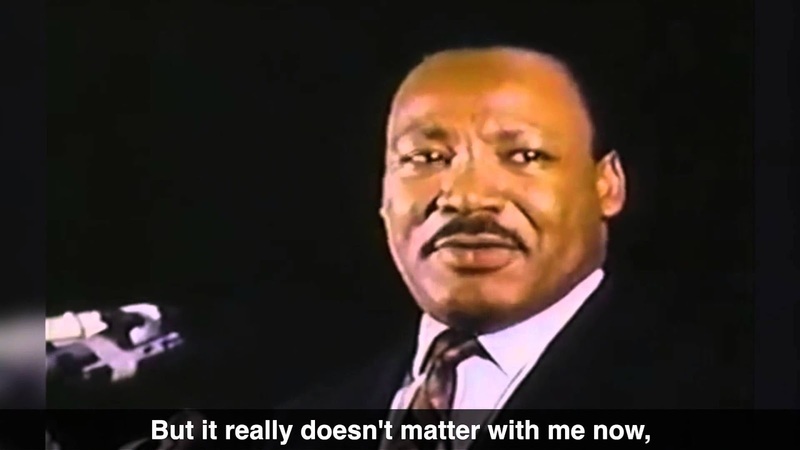 But its significance pales compared to his speech in Indianapolis to a campaign crowd of supporters in a primarily black neighborhood on the night of April 4 after Martin Luther King, Jr. had been assassinated. It is considered both his most significant speech and an act of political courage that probably saved the city from disruption that swept more than 100 cities the next two nights. What unfolded during the next six minutes, according to historians and Kennedy biographers, is one of the most compelling and overlooked speeches in U.S. political history — the brother of an assassinated president announcing another devastating assassination two months before he’d be killed, too. 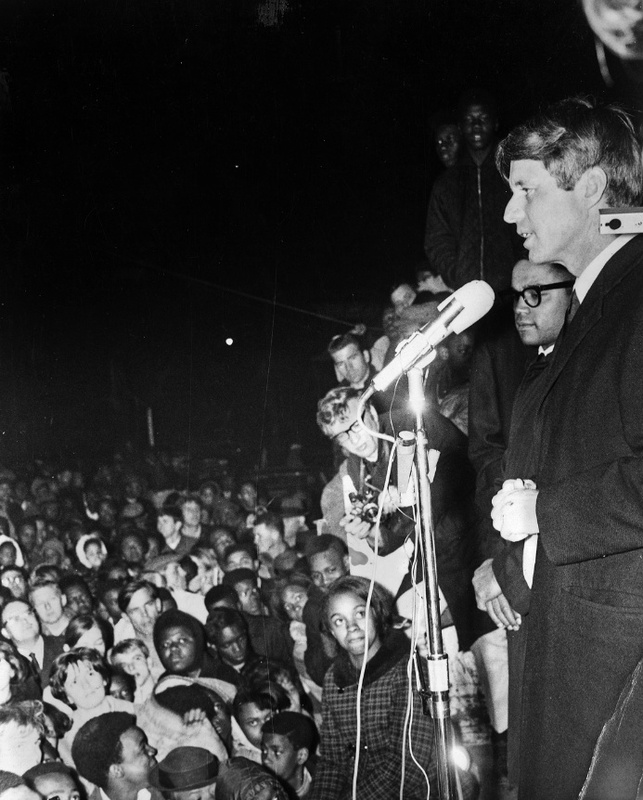 One of Kennedy’s campaign staffers was John Lewis, who had already risked his life to defy segregation alongside King and would later become a congressman from Georgia. Lewis urged Kennedy not to cancel the speech. “He spoke in a prayerful, mournful fashion,” Lewis said. King’s death, Kennedy said, left the black community with a choice about how to respond, whether to seek revenge. A sense of grace washed over the crowd. 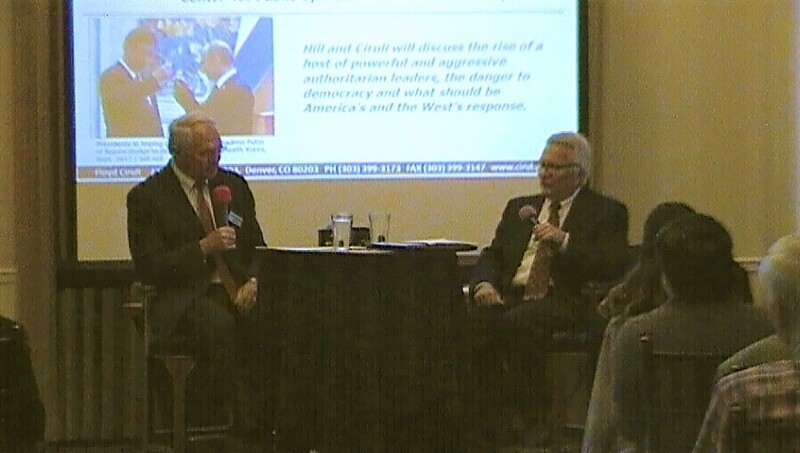 One hundred and fifty WorldDenver guests joined a presentation on April 10 by Ambassador Christopher Hill and professor and pollster Floyd Ciruli on the topic of: The New Authoritarianism: Can America Meet the Challenge? Americans, especially people interested in foreign policy, are extremely concerned about the state of democracy, including in the U.S.
One of the evening’s topics was that trade, such as the Trans-Pacific Partnership (TPP), not only supported the member countries’ economies, but aided the functioning of their democratic decision-making and collective security arrangements with the U.S. The TPP agreement was especially seen as a counter to China’s aggressive economic initiatives in Asia. President Trump opposes multi-lateral agreements, and during the campaign, was especially critical of TPP. He withdrew the U.S. from the TPP negotiating process as his first executive order. Trump believes the pact hurt American workers and businesses. He prefers bilateral agreements and claims agreements with six are underway. The eleven countries that were partnered in TPP have proceeded forward without the U.S. and have a signed agreement (less robust), waiting approval by their individual governments. A number of additional countries want to join, such as South Korea, Taiwan and the Philippines. 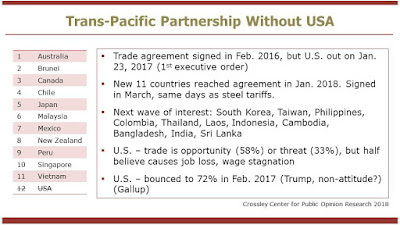 But two days after our presentation, the President realized his trade war was costing him support among farm state interests and senators and ordered his new head of the National Economic Council, Larry Kudlow, to examine a U.S. role in the TPP as an effort to promote American products. He also needs allies in Asia for his trade initiatives against China. Japan has especially been interested in America rejoining the agreement. 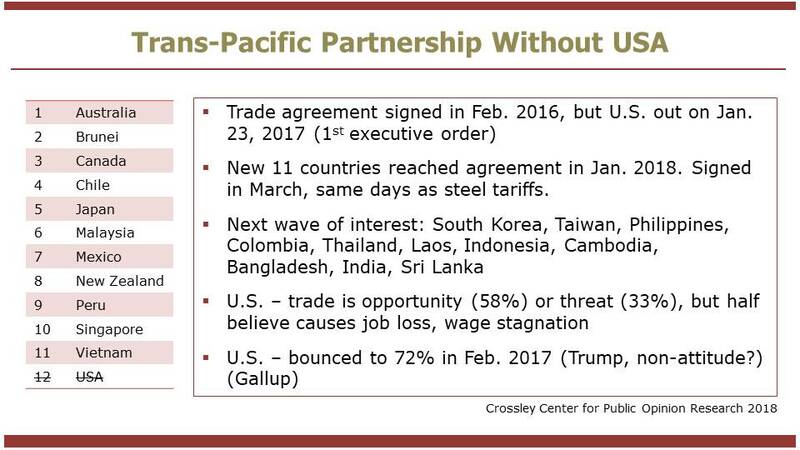 Dealing with the impact of trade agreements, especially with Asian economies on American jobs, is still to be addressed, but the benefit of allies is beginning to look especially important to the administration. Trade agreements not only benefit the economy, but diplomacy and national security. Congressman Mike Coffman beat his party challenger, Roger Edwards, 75 percent to 25 percent at the Republican assembly, April 7. 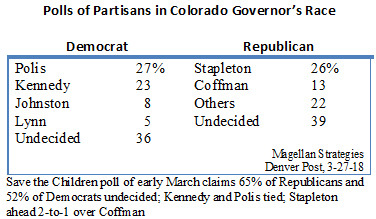 Edwards is a Trump identifier and argued Coffman wasn’t conservative enough (30% is needed to get on the ballot). Unfortunately for Democrats, their frontrunner and preferred candidate of the party leadership, Jason Crow, must battle a far-left Democrat, Levi Tillemann, into the June 26 primary. The vote was 64 percent Crow and 36 percent Tillemann. A primary can be productive to help name identity and build a candidate’s base, but it usually wastes money, time and raises damaging issues. It can alienate parts of a party for general election. Walt Bassett, president of Bassett Construction, died over the weekend. He was a part of a small circle of fellow Pueblo business and civic leaders that basically pulled Pueblo out of an economic decline and recession in the 1980s. Bassett’s positive attitude, vision of success and gung-ho energy was a catalyst that jumpstarted Pueblo’s recovery. In 1982, a steel market collapse brought Pueblo’s economy to a standstill. The business and political leadership developed an economic development organization (PEDCO) to promote new business. They asked voters for a one-half-cent sales tax that provided a fund to help entice businesses to move to Pueblo. Ciruli Associates ran the first campaign and several subsequent renewals of the tax. It worked as dozens of new businesses moved in during the following decades. But Bassett more broadly dedicated his personal time, energy and resources to promote the city to corporate prospects. He never had a discouraging word about Pueblo. Bassett was a Pueblo character and civic asset. The election has significant impact for Republicans as the 2018 contests begin. The first casualty of the Alabama result may be Paul Ryan. He sees the election, as do most political observers, as a mirror image of the 63-seat disaster for Democrats in 2010. Ryan does not intend on being the minority leader, defending the ever embattled and seldom grateful Donald Trump. 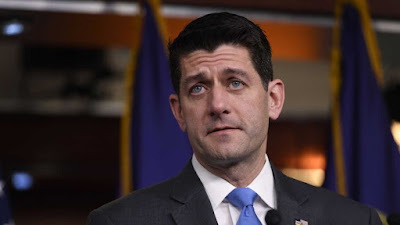 Although Ryan was never enthusiastic for Trump during the 2016 campaign, he saw the benefit of a unified Republican government. But clearly, the legislative accomplishments of the first year were, but for the tax cuts, far more modest than expected. And even tax reform is not yet producing political benefit. Ryan’s timing reinforces the gloom the Republican House Majority faces under the leadership of President Trump. It also highlights what was already clear – legislative accomplishments in 2018 are done! Supporters of Majority Leader McCarthy and Majority Whip Scalise have been maneuvering for weeks in anticipation of Ryan’s decision. Both of them get along better with Trump than Ryan, which is good because if they are in the minority, defending Trump and the administration from investigations will be a full-time job. And, of course, the Democrats will be looking to make their record for the 2020 election. Walker Stapleton, three days from the Republican State Convention, gives up the spot on the ballot he won with petitions for a struggle with Cynthia Coffman and a half dozen other candidates to win 30 percent of the 4,200 delegates showing up at the Saturday Boulder event. 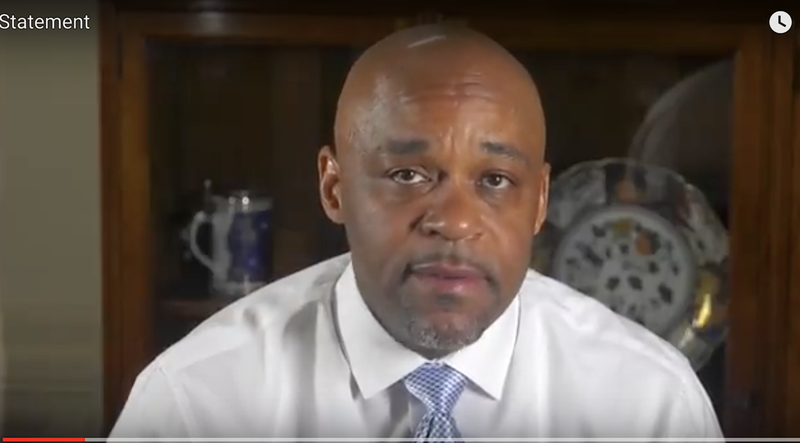 Stapleton, who has been the frontrunner as indicated in voter polls and straw polls at caucuses and county assemblies, is now at risk not making the ballot. But even more threatened is Cynthia Coffman, whose weak statewide campaign has failed to demonstrate much traction since the February caucus. She felt against a weak field at the convention, 30 percent was easily doable. Stapleton’s entry into the field is an existential threat to her ballot position. Stapleton now dominates the narrative going into the convention. 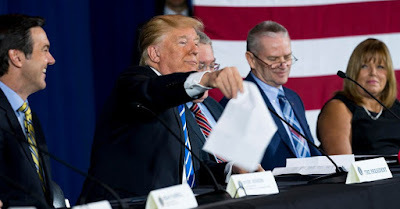 His gamble may secure him top position on the ballot and reinforce his frontrunner status with the rank and file of the party or it may stop his momentum just as the run to the June 26 primary begins. The panelists include the director of the Quinnipiac poll and a leading pollster from California, which just legalized marijuana. The Colorado perspective is provided by pollsters and experts knowledgeable of the state’s 5-year experience with legalized recreational marijuana. AAPOR and the Crossley Center for Public Opinion Research sponsor a panel on Marijuana, Public Opinion and Legalization. The Buzz asked “Tillerson Gone?” on December 5, 2017. He was fired by a tweet on March 13, 2018. The speculation has now shifted to General John Kelly as it is now clear he has a reduced role in President Trump’s current White House operation. 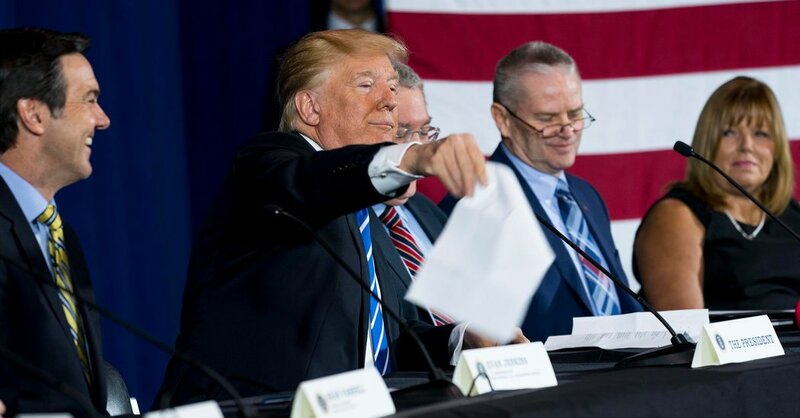 Trump’s “throw away the script” moment in West Virginia is a part of announcing his new comfort with the job of president after the first year. He’s going now with more gut instincts. The removal of National Security Advisor H.R. McMaster is a part of the new Trump. The more comfortable Trump is in the job, the less he needs Kelly’s viewpoint or restraint. 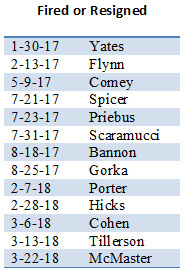 However, Trump realizes Kelly’s resignation will be seen as a major loss, much greater than Cohen, Tillerson or McMaster – so it must be finessed. Expect Trump to attempt to choreograph a removal that tamps down the criticism as much as possible. Eric Wilkinson, one of Colorado’s most respected water leaders, has retired after 24 years of leading Northern Water, the utility that represents eight northeastern Colorado counties and manages the water supply from the Colorado-Big Thompson project. Wilkinson received the prestigious Aspinall Award for leadership from the Colorado Water Congress. 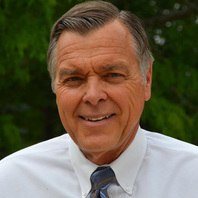 He served on the Colorado Water Conservation Board from 2000 to 2012 and as chair twice. Congratulations Eric on an incredible career. The 2019 Denver mayor’s race is about to start and the incumbent Michael Hancock has all the advantage of a two-term mayor in one of America’s most popular and fastest growing cities. 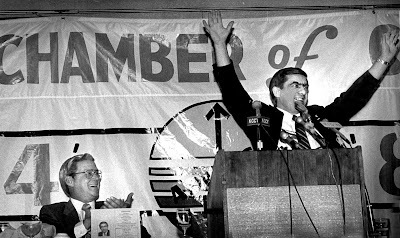 But, a number of trends remind observers of Denver in 1983 when it shifted its politics and a three-term mayor lost. 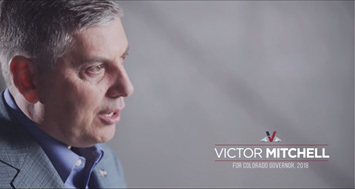 Read my analysis of the trends in Colorado Politics of April 4, 2018: “Is Denver Ready for a Change? 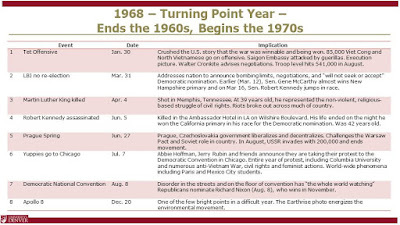 1968: A Year of Turmoil and Transition. Where Were You? 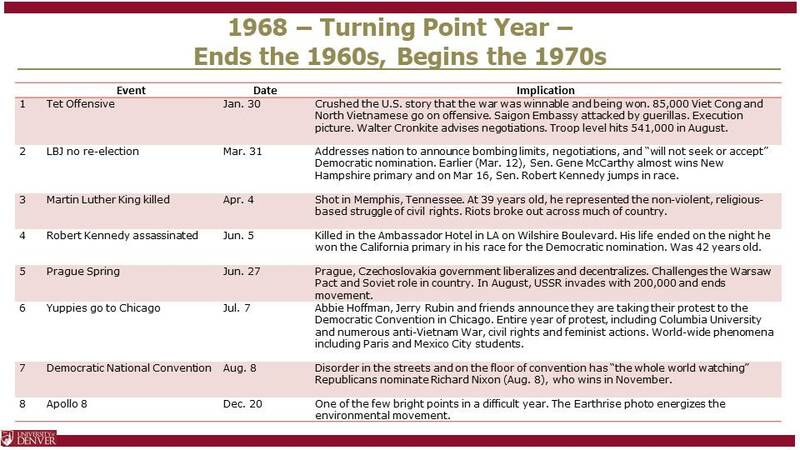 The Denver Press Club is hosting a presentation and panel titled, “1968, A Year of Turmoil and Transition,” on May 8. Nineteen sixty-eight was the year the Baby Boomers came of age. The oldest members of the cohort were 22, four years out of high school, four years into the draft, the music, the drugs, the Pill, the attitude about authority. What were you doing? It’s time to remember what you were doing when you heard the big events and what did it mean to you. Leave a comment below or #1968Remember on Twitter. The list will be published and some used in the panel. I use the following chart in my Korbel School class on Public Opinion and Foreign Policy. The Vietnam War was the event that made public opinion critical in foreign policy decision-making, witnessing President Lyndon Johnson announcing on March 31 his bombing pause and decision to not run for re-election. Opinion was turning against the war and especially against him. The list is just a brief selection on the events of the year, many of them accompanied by great acrimony and violence. Leave your memories in the comment section or #1968Remember.